Hi planner friends! 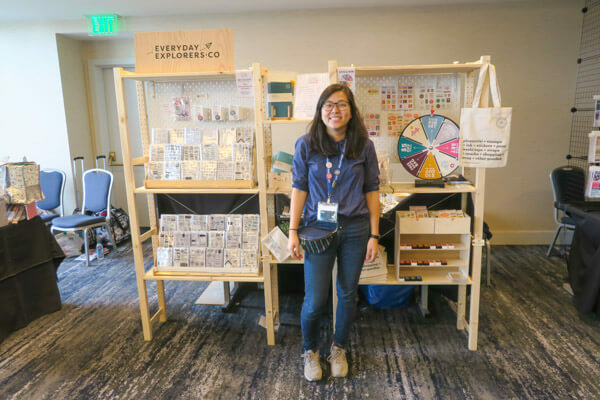 I’m following up my Part 1 PlannerCon 2019 vlog and experience post with the second part. Plus, the vlog for this features a share of my event swag and tips for attending your very first PlannerCon. 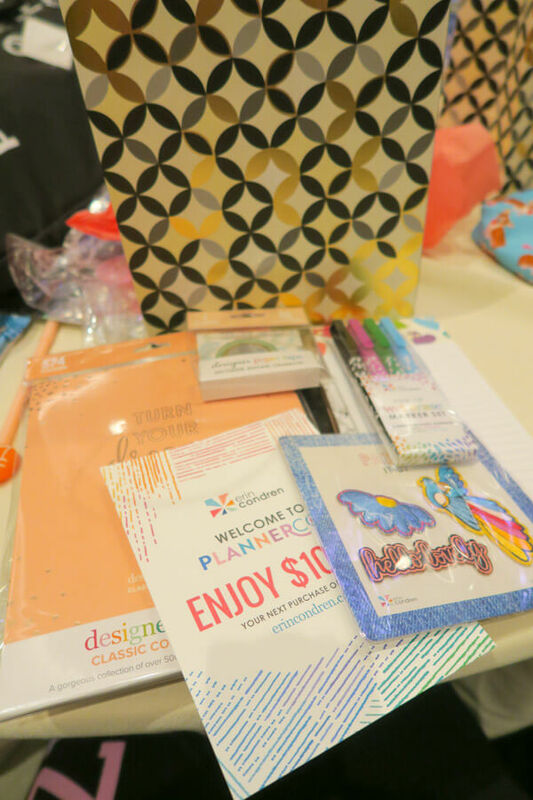 So in this post, I’m sharing my Part 2 of 2 PlannerCon 2019 experience. Let’s get going, shall we? 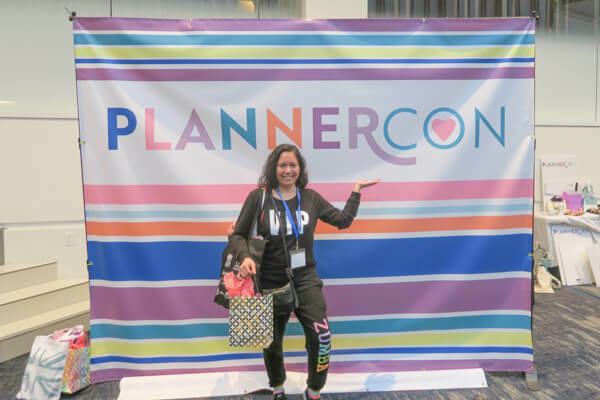 Click here to watch my PlannerCon 2019 Part 2 of 2 vlog if the above player isn’t working. I learned from the day before that a big breakfast is a must. For me at least. But I get hungry, people. Haha. 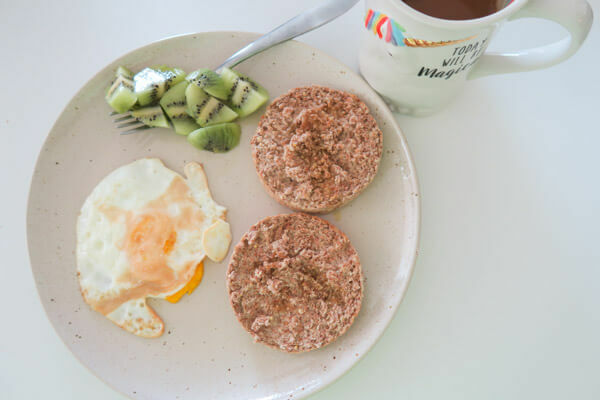 The oatmeal wasn’t enough the day before, so I went with an egg and sprouted grain English Muffin. Plus a kiwi for some vitamin C.
I started out doing some shopping before the events. 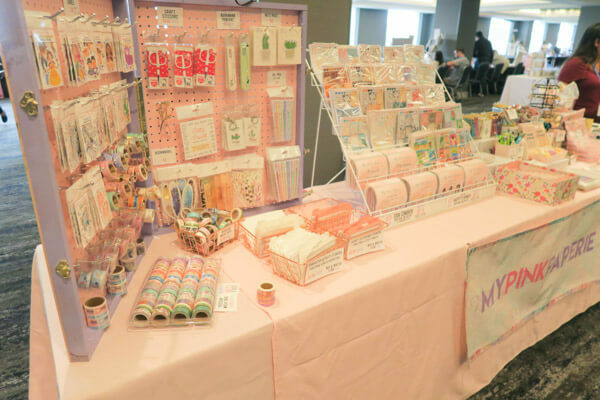 There are so many great Etsy shops in attendance, like My Pink Paperie. I got SO MANY stickers here. They were so cute! 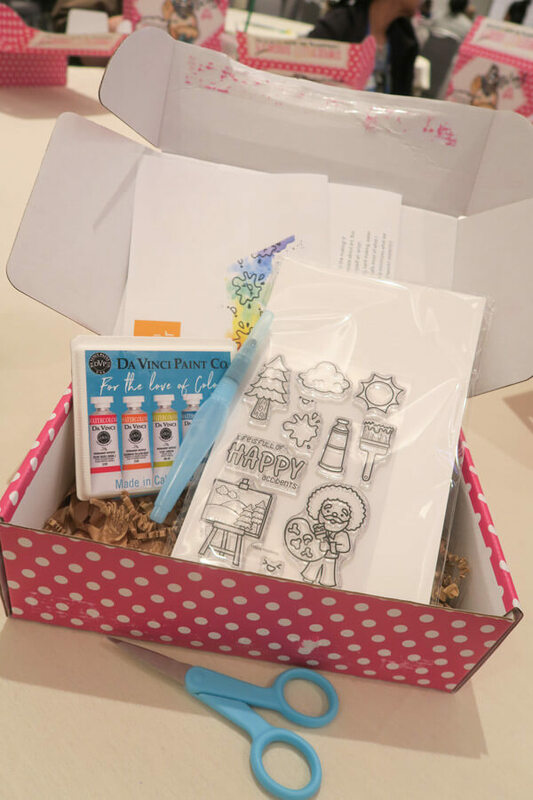 For my third and last workshop, I attended the stamping working shop with Sweet Stamp Shop and Nicole Rixon. We got a whole subscription box, and I did a mini unboxing of this in the video. Look at the adorable Bob Ross themed stamps! And I thought I was done shopping, but of course, there were some booths I’d noticed before that I wanted to revisit like EverydayExplorers.co. One thing PlannerCon has inspired me to try more in my planners is stamping! Can’t wait to see how this goes! 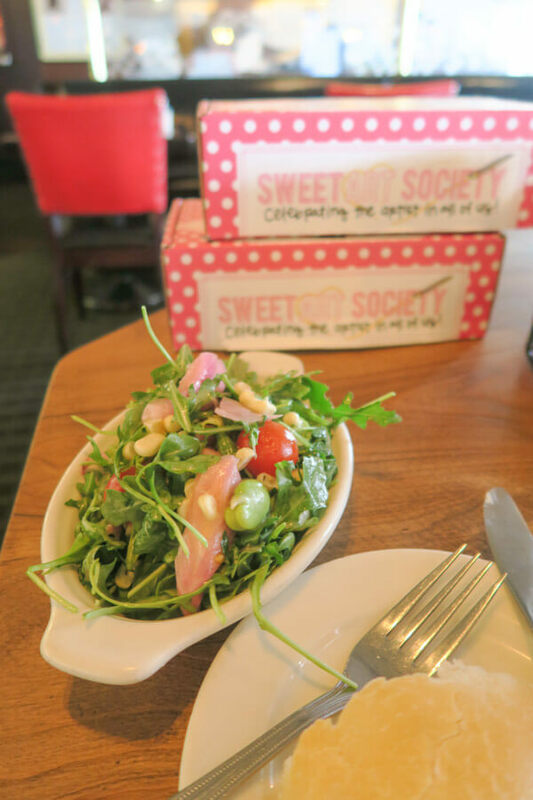 And some greens for good measure. I’m currently working on a video dedicated to my PlannerCon swaps from other conference attendees. You can see my swag (from the event and workshops) in my Part 1 vlog. Erin Condren wasn’t in attendance this year, but she did give us a whole goodie bag of Erin Condren swag! 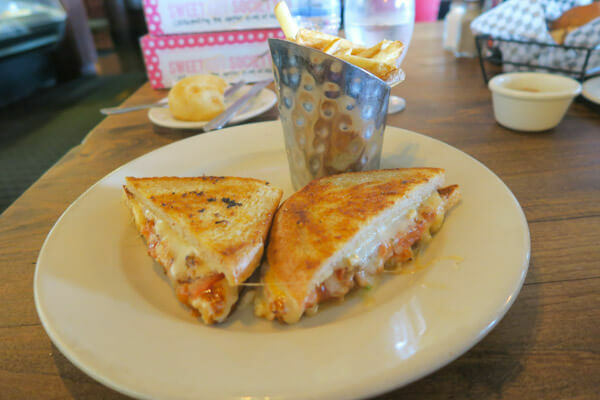 Here’s what was inside. Woop! This is also unboxed in this Part 2 vlog. And finally, I did a last round of shopping in the main room. 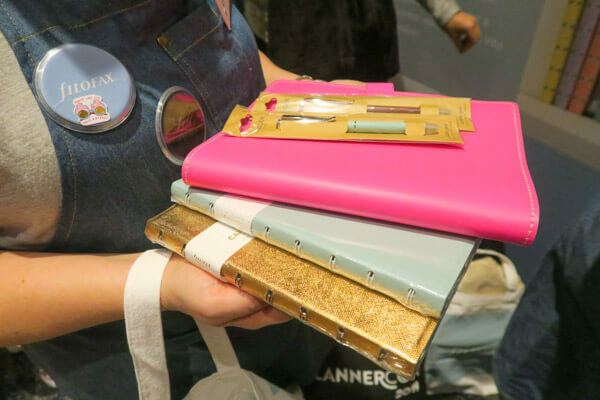 From the Filofax table, I purchased this gorgeous girl boss notebooks. They’re so chic! And the pages inside can be moved around! This was my first Filofax purchase, and I’m pretty pumped about it! 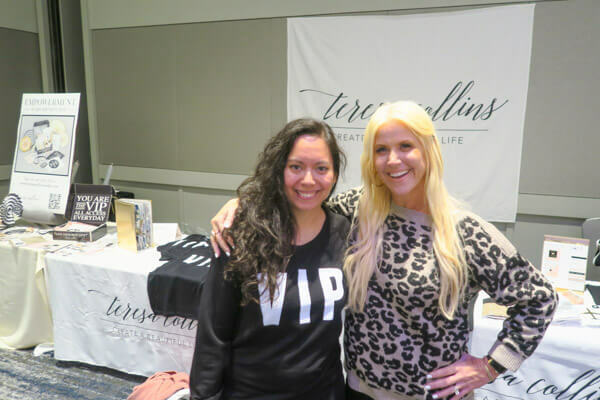 Loved hearing Teresa Collins message about focusing on the positive things in life despite any negativity going on. This is a philosophy that I’ve come into in recent years. And I resonated so much with her that I just had to get her VIP top. Love how I’ll surely be feeling the good vibes whilst wearing this awesome top. 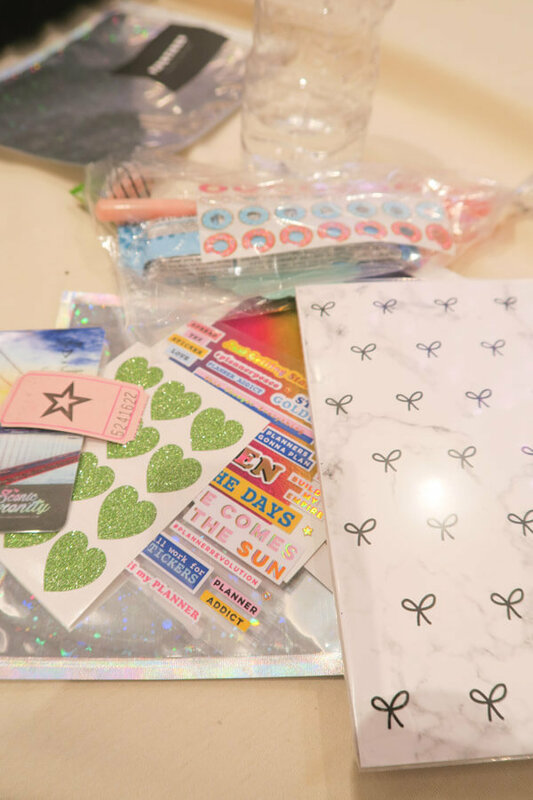 Bring planner supplies you don’t use anymore – drop them off at the De-Stash table and pick up some new goodies you love – partial sticker sheets are acceptable here! Put yourself out there – especially if you’re going alone, try to not be afraid – put in the effort to talk to others – seeing the whole room of 1,200 people can be intimidating, but everyone is so nice! Thank you to Louise and all the many volunteers for all their hard work putting this event together. An event of this size is no small feat, and you guys did great! 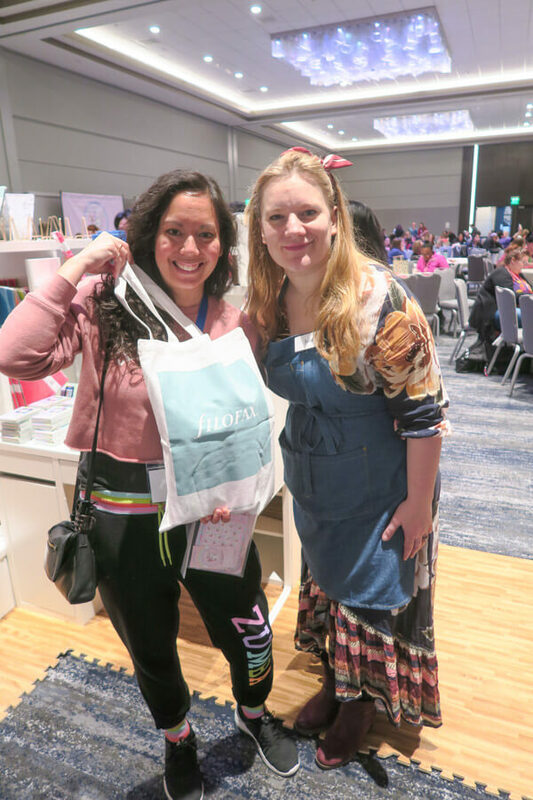 Thanks for reading about and watching my PlannerCon 2019 experience. Hope you enjoyed it and maybe I’ll see you at a planner event in the future!